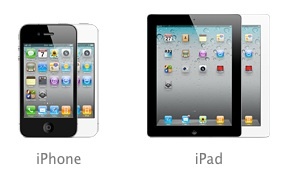 Companies Lining Up in Support of Apple Ahead of Potential Older Model iPhone/iPad Ban in U.S. Following last week's opinion piece from Verizon attorney Randall Milch outlining why the carrier objects to the impending U.S. ban on imports of older iPhone and 3G-capable iPad models, The Wall Street Journal notes that a number of other companies and regulators are lining up in support of Apple in the case. Rather than taking a position on the details of the case, which revolve around a Samsung patent categorized as essential for 3G wireless functionality and thus subject to licensing under FRAND (fair, reasonable, and nondiscriminatory) terms, the companies are primarily objecting to the precedent of allowing products to be banned based on rulings of infringement of such patents. BSA, a trade group representing software makers including Microsoft Corp. and Oracle Corp. and chip maker Intel Corp., said the use of essential industry patents to ban products shouldn't be allowed except under unusual circumstances. Intel is scheduled to testify at the Senate hearing and previously filed its concerns with the ITC. The report indicates that antitrust officials from the Justice Department and the Federal Trade Commission have also been weighing in on the matter with their fears that companies may be unfairly wielding their standards-essential patents to hamper competition in the marketplace. For their parts, Apple and Samsung have disagreed over whether fair licensing offers have been made in the on-and-off negotiations over the relevant intellectual property. The import ban is set to take effect on August 4, barring a veto by the executive branch of the government, which would come through U.S. Trade Representative Michael Froman. An executive branch veto of an ITC order would be a significant move, as such a veto has not been issued since 1987. Apple paying everyone off as per usual. With respect, did you even read the article? Samsung have something patented that is essential for 3G to work. That isn't just limited to Apple, that includes every single manufacturer who have 3G working on their smartphones. Samsung = extremely dangerous, and considering how much they contribute to the Korean economy they have a lot more political power than people think. So you're saying Samsung shouldn't be able to protect their inventions and patents? Or because it affects your precious apple? Apple made it clear that they are protecting their iPhone patents. Samsung are doing the same. This is apples game they started. Bingo. With their actions in this case, Samsung has lost any hope of having the moral high ground in the high-tech patent wars. You're trying to compare an Apples to FRANDs. That will always be a FAIL. If that were true, you should be able to show some case where Apple failed to provide FRAND licensing for some essential technology. What exact Apple patents are you talking about? No, Samsung have every right to protect their property. They don't have the right to not licence key technology that's required for millions, perhaps even billions of devices. FRAND was the key, you missed it. Samsung didn't play ball, and once again, the've been caught out. That's what happens when you play with fire apple. Reap what you sow. More like Apple tried to lowball Samsung and failed.